IgniMagnus: Was the decision of the supreme court about abortion correct? Was the decision of the supreme court about abortion correct? 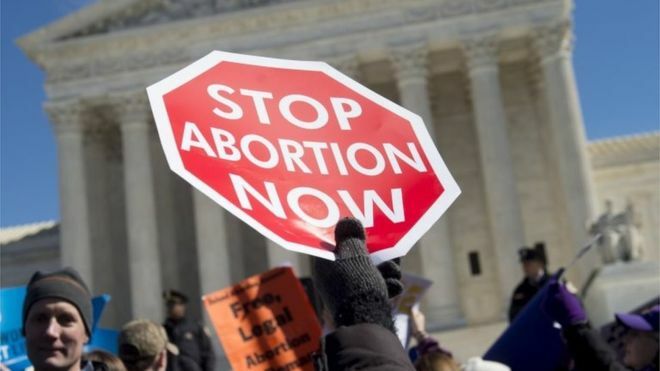 The Supreme Court decided strikes down TX abortion law. These laws had put extra requirements on woman who wanted an abortion. Many laws are there to create safety checks for our own safety and those of others around us. We could try to remove some of those, what a supreme court can do, so some processes go easier, with less challenges along the way. It is thus a trade-off of safety vs convenience. And of course that line is drawn different for everybody. And sometimes the law is used to achieve something that is against the best interest and well-being of people. "It is beyond rational belief that H. B. 2 could genuinely protect the health of women," Ginsburg wrote. Before we can decide where we want to draw that line we need to know what level of safety we want to have. The same counts for cyber and internet security. The more security you want to have on the net the more checks and slowdowns you will have to go trough. What level of security do you want to have and how much comfort do you want? When something gets too difficult to achieve we find another way to achieve it. Those other ways could have even more risks than the first way. Once again, Ginsburg wrote: "When a State severely limits access to safe and legal procedures, women in desperate circumstances may resort to unlicensed rogue practitioners, faute de mieux [for want of a better alternative], at great risk to their health and safety,"
We all need to balance one thing of against the other and most things have trade-offs. This is how our brain works also. Neuron networks compete and cooperate like a parliament. Exercising recognizing trade-offs in everyday life helps in making better decisions.